Chalkware banks like this one are actually carnival prizes from the 1930s-1940s. 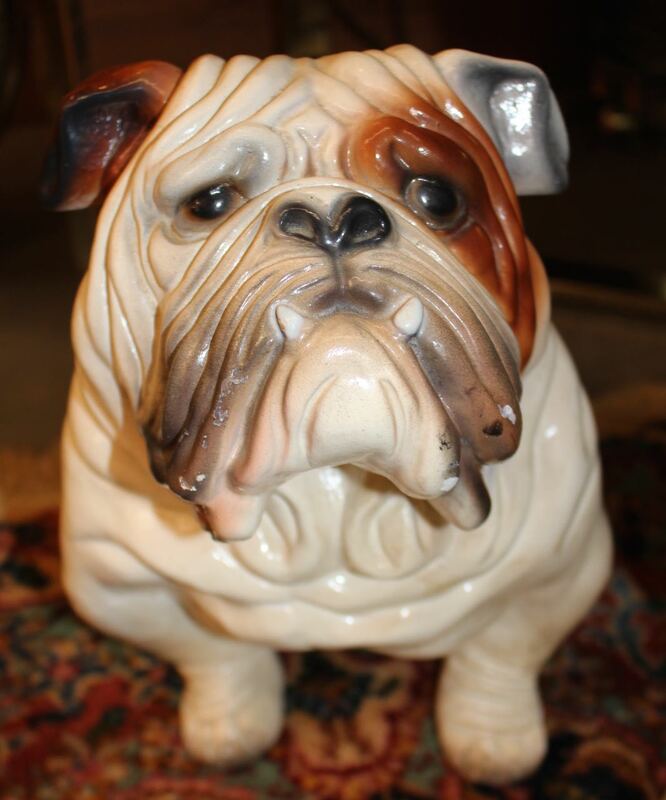 This bulldog bank is 18″ long x 12″ high. Very god condition with a few shallow surface chips.